The news media and many Americans appear shocked at the United States’ vote betraying its closest ally Israel. But anyone who followed President Obama’s — and his former secretary of state Hillary Clinton’s — relationship with anti-Israelis such as Bill Ayers, Jodie Evans, Sid Blumenthal and others shouldn’t be surprised at all. Israel’s police SWAT members take a backseat to no other nation’s counter-terrorists. The U.N. Security Council voted and passed on Friday a resolution condemning Israel and urging the Jewish State to cease adding Jewish settlements in “occupied” Palestinian land in an unexpected vote from which the U.S. abstained. Many lawmakers in both parties in both houses of the U.S. Congress slammed President Barack Obama for his U.S. Ambassador to the United Nations Samantha Power “betrayal” of Israel. When she announced the Obama administration was abstaining from the Security Council vote against Israel, there were cheers heard throughout the chamber of the New York City headquarters. Since the U.S. abstained, it allowed the resolution to pass. While the United States’ news media focus their stories on Palestinian territory in the West Bank and the Gaza Strip, the true sticking point is the Palestinian claim to ownership of East Jerusalem. 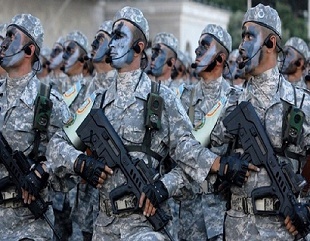 “The idea is to make it sound as if the Jews are the ‘occupiers.’ In fact, most of the news media use the term ‘occupied land’ when discussing Gaza — which is controlled by Islamic terrorist groups — and the West Bank,” said former New York police captain Jeffrey Seidelman. “The news media fail to mention that it is from these areas that Islamists from Hamas, Palestinian Islamic Jihad, and now the Islamic State of Iraq and Syria (ISIS) launch their attacks. In fact, about two years ago rockets and missiles were discovered hidden in a U.N.-owned building in the Gaza Strip,” said Seidelman, who served as a ranking member of a police anti-terrorism unit. Leading Democrats from both houses called out the U.N. the Obama administration’s departure from what they consider an ongoing American policy of vetoing U.N. resolutions regarding Israel. But Obama’s deputy national security adviser, Ben Rhodes — who many believe is just another political hack with a title — said the president decided after seeing the final text of the resolution that Amb. Power should abstain from voting for or against it. Rhodes is being replaced in January 2017 by someone with real national security experience, K.T. Mcfarland, a former assistant secretary of defense. Rhodes’ equally ineffective boss, Susan Rice will be replaced by former Lt. Gen. Michael Flynn, whose military career includes heading the Defense Intelligence Agency (DIA). President Obama has been at odds with the Israeli government on a number of issues. In fact, while claiming he and his current and former secretaries of state are strong supporters of Israel, they appear to be aligned with the far-left wing of the Democratic Party which has been anti-Israeli to the point of supporting the Palestinians. American Left’s contribution to the fight against the Jews. In fact, during the Free Gaza Flotilla the American ship involved was named for President Obama’s book “The Audacity of Hope.” The group members involved are joined at the hip with Obama friends and supporters, but that story was ignored by the American news media. 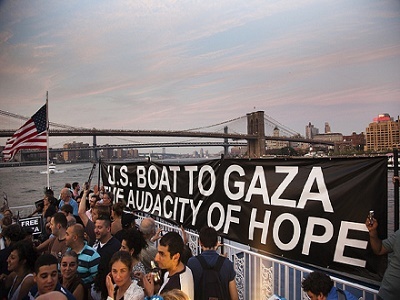 The main organizers of the Flotilla, were the Turkish-based Foundation for Human Rights, Freedoms and Humanitarian Relief (IHH), the Free Gaza coalition, and assorted radical-left leaders such as President Obama’s friends and colleagues William Ayers and Jodie Evans, who worked on the Governor Jerry Brown campaign in California. Evans is now the leader of Code Pink. “The news media and U.S. lawmakers are behaving as if they are shocked over the latest Obama anti-Israeli action. Why? Anyone paying attention knew that there is no real partnership between the U.S. President and Israel’s former special forces officer, Prime Minister Benjamin ‘BiBi’ Netanyahu,” said political strategist Mike Baker. “January 20, 2017, will hopefully begin the repair of American-Israeli relations,” he added. Obamas action scream that he is a muslim sympathizer and will always take pro muslim action whenever possible. 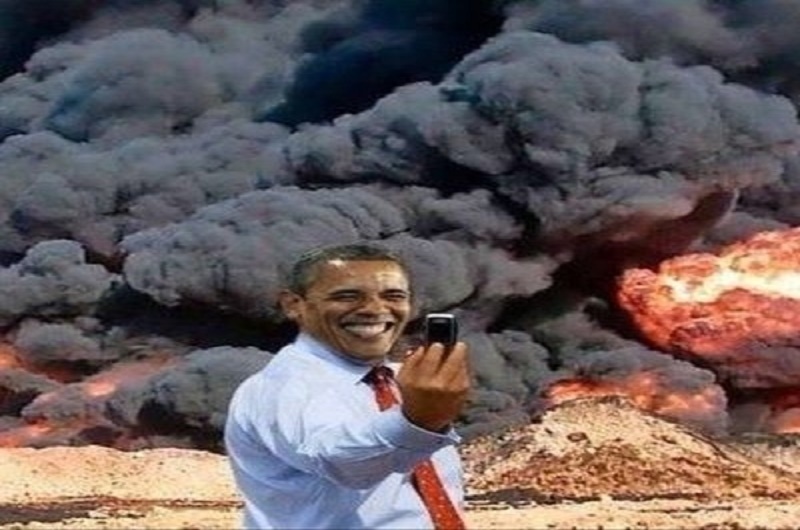 Anti-Israel, pro-Iran with releasing frozen assets, protected and smokescreened the Al Qaeda terrorist attack in Bengazi, supports the Brotherhood in Syria, did a secret burial at sea of his twin Osama bin Laden to not offend muslims, and just released five badass terrorist for a deserter with questionable parentage…etc, etc, etc.